One of our favourite comfort meals, particularly when we have just returned home from a long haul trip, is Spaghetti Bolognese. 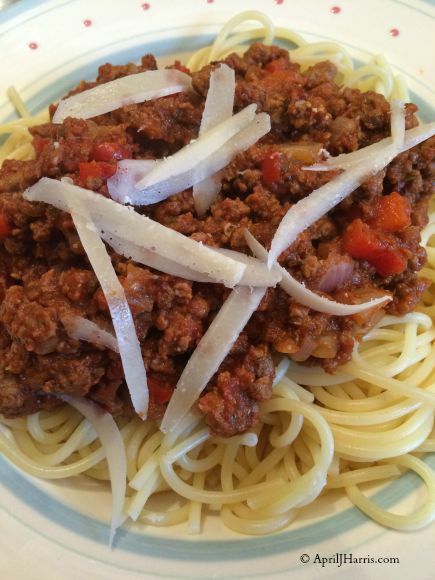 Spaghetti Bolognese is what I knew as ‘Spaghetti with Meat Sauce’ when I was a child in Canada. The thing is my family and I are really trying to cut back on the amount of meat we eat. I’m always looking for ways to make meat free versions of our favourites so I decided to develop a Vegetarian Spaghetti Bolognese recipe for us to have on days when we were trying to avoid meat. I have long been a fan of Quorn, a meat substitute made from Mycoprotein, a member of the fungi (mushroom) family. It also contains free range (pastured) egg. There are over a hundred Quorn products available; one of them is Quorn mince. It has a similar texture to mince (ground beef) and easily picks up the flavours of anything you cook it with or in. I decided to use Quorn mince for my Vegetarian Spaghetti Bolognese but I had one other hurdle. It has taken my husband a long time to like tomato based sauces. His family’s Spaghetti Bolognese sauce is beef stock based and contains virtually no tomato whatsoever because none of the family like cooked tomatoes. It’s also much less ‘sauce-y’ than traditional pasta sauces – more like a meat gravy on the pasta. It’s delicious but not the tomato-ey meat sauce I crave and it’s anything but vegetarian. 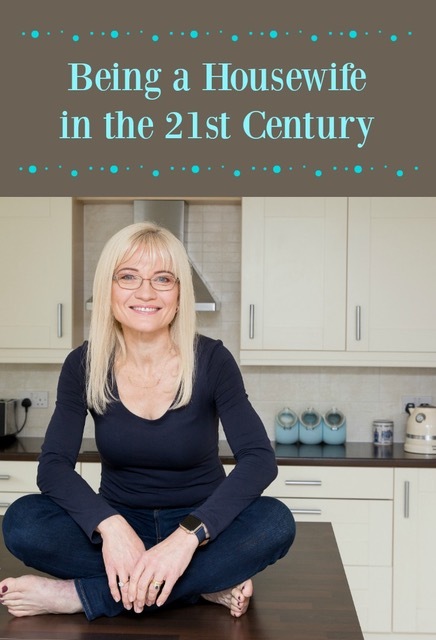 Over the years I gradually encouraged my husband to like a tomato based Spaghetti Bolognese by using pureed or sieved tomatoes and adding beef stock to my tomato sauce recipe. It’s a compromise that has worked well for us but I wasn’t quite sure how to translate it into a vegetarian spaghetti bolognese recipe. Vegetable stock was too light to have the flavour I wanted. Fortunately I found some Porcini mushroom stock cubes. These have a rich, deep, meaty flavour but the ones I chose are completely vegetarian. Another ingredient I like to use in my cooking is Very Lazy Garlic. I use either the chopped or crushed version and it always works out perfectly. The beauty of Very Lazy Garlic is that it stays fresh in the fridge for a number of weeks. Often the fresh garlic I buy in the shops is already past its best and even if I can find fresher bulbs of garlic it takes me too long to use them and they go off. With Very Lazy Garlic I can just open the jar and spoon out what I need (1 teaspoon per clove of garlic) plus there is no peeling or chopping! While this Vegetarian Spaghetti Bolognese sauce doesn’t have the beefy flavour of the original, it’s got a great texture and a rich, deep Italian flavour that even my husband loves. My Vegetarian Spaghetti Bolognese now has a firm place in our comfort food arsenal. In fact, it is often requested instead of the original! Meanwhile, heat the oil in a large frying pan over medium heat. Sauté the onion and red pepper for about five to seven minutes or until they begin to soften. Stir in the garlic and cook for a moment or two. Stir in the Quorn mince along with 2½ cups of passata (sieved tomatoes) or tomato sauce. Dissolve the stock cube in the boiling water and add to the sauce. Add the basil, oregano and pepper, stirring thoroughly. Bring the mixture almost to the boil and then turn back and simmer for five minutes. At this point you need to check the texture of the sauce. If you like your sauce very 'sauce-y' you will want to add some more sauce a bit at at time, until it reaches the consistency you like. Simmer, uncovered while you cook the spaghetti in the boiling salted water according to package directions. When the spaghetti is cooked, drain it and divide between four warmed plates. Serve with the Vegetarian Spaghetti Bolognese Sauce and shaved Parmesan. If you enjoyed this post you may also like Family Favourite Meatless Monday Recipes. I have worked with the Quorn brand and received samples in the past. I created this recipe for my family’s benefit and have not been compensated for this particular post. Looks so good, just like meat. Great recipe. I have a few family members who are vegetarians so I’m familiar w/ Quorn. I haven’t tried the mince yet but I’ll give it a try. We love a good Bolognese here so I’m anxious to try this out. The Quorn mince really is good, Christine. I use it in tacos and casseroles as well. 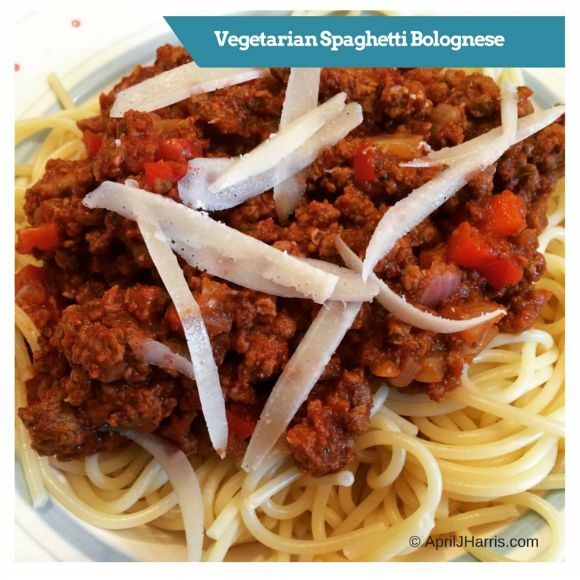 What a tantalizing alternative to traditional bolognese! Thanks for putting this one together, we will be putting it on our menu soon! I’m a huge fan of vegetable bolognese. Sounds delicious, though I have to say I have never heard of Quorn. I’ll definitely check it out. Quorn is a great meat alternative, Joanne 🙂 They make over a hundred products so there is something for everyone 🙂 I have to say though, it’s the mince I use the most! This is my kind of comfort food April! Pinned and shared! Thanks for sharing this at the Say G’day party April and I could go for some of this right now!! Pinned and look forward to seeing you on Saturday! This looks so delicious April I wish I could try some now! Pinned and shared the love for the recipe today! It’s great when you can find a meatless alternative that satisfies you just as well as the original! Have you tried using garbanzo beans in “meat” sauce? Surprisingly good, and I would not have thought of it if not for my friend’s recipe! I’ve used mushrooms in “meat” sauce, Becca but not garbanzo beans. Sounds like a great idea! Wow, I’ve never heard of Quorn minced before! But this definitely looks like real bolognaise, even if its actually vegetarian! Just made it and it came out DELICIOUS!!!! WOW WOW WOW! This looks absolutely great. Full of flavors and perfect for vegetarians.